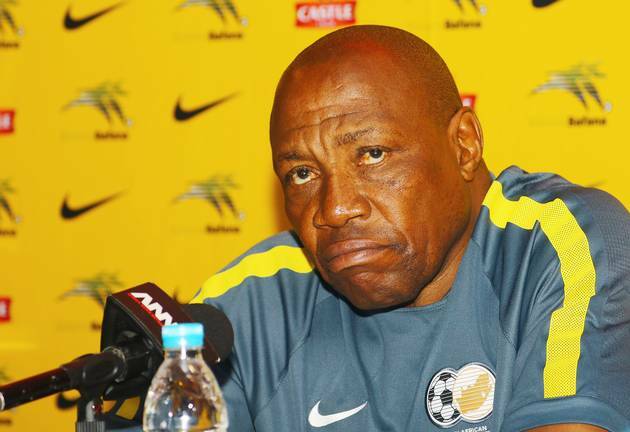 The South African Football Association (SAFA) have announced that Ephraim 'Shakes' Mashaba has been fired as head coach of Bafana Bafana, with disciplinary measures taken against the 66-year-old. Mashaba's future was under the microscope after he lashed out at his employers following the country's 2-1 win over Senegal in a 2018 FIFA World Cup qualifier, Polokwane last month. He was subsequently barred from traveling with the South African national team to Maputo, and has since been shown the exit door. Mashaba led Bafana Bafana to the 2015 Africa Cup of Nations, but was heavily scrutinized after South Africa failed to qualify for the 2017 AFCON in Gabon. Following the unfortunate incidents that occurred in Polokwane on Saturday, 12 November 2016, after the match between Bafana Bafana and Senegal, the South African Football Association (SAFA) placed Head Coach Ephraim Shakes Mashaba on suspension pending a disciplinary hearing. The hearing took place over five days in December 2016 (5th – 7th, 9th, 12th) and was chaired by an independent legal expert who is an Advocate of the High Court. “It is regrettable that we had to face the events of the past month at a time when the National Team is experiencing a resurgence in its quest to qualify for the 2018 FIFA World Cup” said SAFA CEO, Dennis Mumble. “Due to the seriousness of the Coach’s actions, we had to release our Head Coach with immediate effect. We shall immediately institute a search for a new Head Coach familiar with African football competition who will be expected to continue the quest to qualify for the world’s apex football competition. We ask all supporters to continue to support Bafana Bafana,” the SAFA CEO continued.